Proudly Philippine-made rum Tanduay is capturing palates of the world’s connoisseurs as it recently gathers prestigious international awards. The major recognitions the brand received for its various products included: a gold award under the category Gold Rum Premium for Tanduay Rum Gold from the Rum & Cachaça Masters 2018; a double gold medal and best white rum citation for Tanduay Rum Silver from the San Francisco World Spirits Competition 2018; a silver award for the Tanduay Rum Gold also from the San Francisco World Spirits Competition 2018; another gold and silver awards from Tastings of the Chicago-based Beverage Testing Institute also for the Tanduay Rum Silver and Gold; and a Category Winner for Column Still Rum from the World Rum Awards once again for Tanduay Rum Silver and Gold. These award-giving bodies are among the most prestigious spirits competitions in the world and recognized internationally as most influential in the spirits industry. All these achievements are borne from Tanduay’s commitment to excellence and industry innovations under the leadership of its Chairman, Dr. Lucio Tan. Only the finest ingredients make it into each bottle of Tanduay rum and there is attention to detail at the manufacturing stages, where stringent quality control is meticulously applied at every step of the production process. Since the acquisition of the Tanduay brand by the Lucio Tan group 30 years ago, plant modernization and expansion projects tremendously increased the distillery’s production capacity. With an unmatched ageing facility that houses not less than 200,000 barrels of aged reserves, Tanduay continues to produce one of the world’s finest rums. Through the leadership of Tan’s son and Tanduay president, Lucio “Bong” Tan, Jr., the company made a historic expansion in the world arena. Tanduay made a strategic alliance with companies in the United States to expand its distribution capacity. The company likewise backed up its marketing efforts striking a two-year partnership deal with 2017 NBA Champion Golden State Warriors. “We are proud to be recognized by the world’s tastemakers and placed at par with international brands. We share these achievements for Tanduay with our Filipino consumers because it is through their constant support for the brand that we have continued to reach new heights over the past 30 years,” Bong Tan shares. He adds that as Tanduay ensures the excellent quality of its flagship products, it is producing more craft spirits, with the vision to grow the business in the international market, strengthening their claim in the spirits categories all over the world. Tanduay Distillers Inc. is a member of the LT Group of Companies. 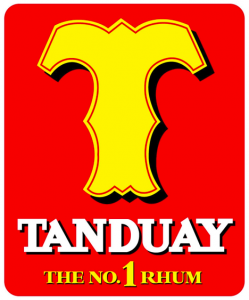 Tanduay is the Philippines’ top rhum maker, which is also distributed in Asia and the United States, among other countries in the world. Likewise, the company produces spirits, wines, brandies, gins, and vodka. We are a registered company in the Philippine stock exchange as a subsidiary of Tanduay Holdings Inc.